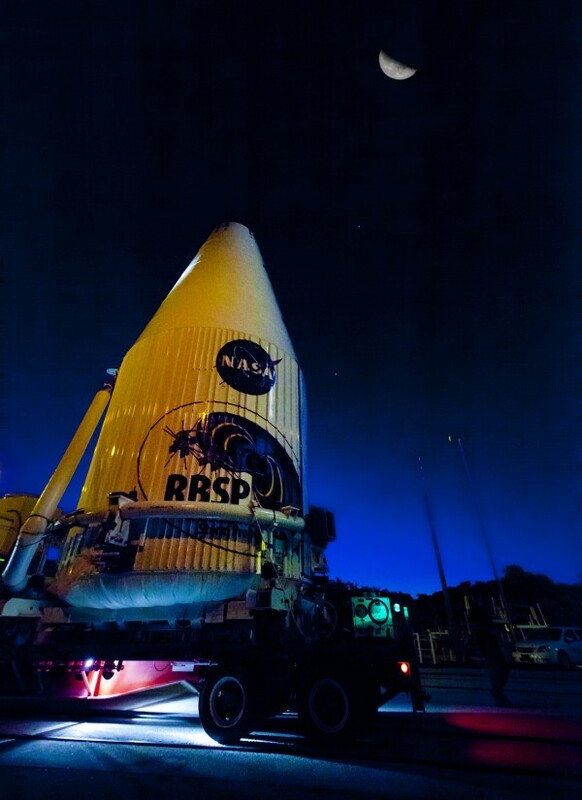 Launch update: After a few postponements, RBSP launched successfully at 4:05 a.m. EDT on Thursday, August 30. On August 24, the NASA Radiation Belt and Storm Probes (RBSP) mission will launch into orbit to study the forbidding belts of radiation that encircle Earth, which are trapped here by our planet’s magnetic field. Dual spacecraft will carry pioneering LASP-built instrumentation to study radiation belt particles and fields. LASP’s involvement in RBSP centers on providing the know-how to explore the central questions in radiation belt science: Are radiation belt particles transported to near-Earth space from other locations and then trapped here? Or are low-energy particles, already trapped by the Earth’s magnetic field, subsequently heated to high-energy levels? The LASP-built Relativistic Electron Proton Telescope (REPT) will directly measure near-Earth space radiation particles to understand their intensity, acceleration, number, and direction. The instrument is part of the RBSP Energetic Particle, Composition, and Thermal Plasma Suite (ECT). A miniature version of REPT is slated to launch aboard a CU-student-built CubeSat this month. The RBSP Digital Fields Board will study the electric fields that energize the particles that make up the radiation belt; this instrumentation is part of the RBSP Electric Field and Waves Suite (EFW). The RBSP mission consists of twin spacecraft that will traverse through the intense heart of the radiation belts, taking identical measurements during each orbit. The particles that make up the radiation belts are capable of penetrating and damaging sensitive electronics on board “workhorse” spacecraft, such as those responsible for weather monitoring and prediction, navigation, and communications. The radiation belts also pose a biological hazard to astronauts passing through the belts during manned missions.